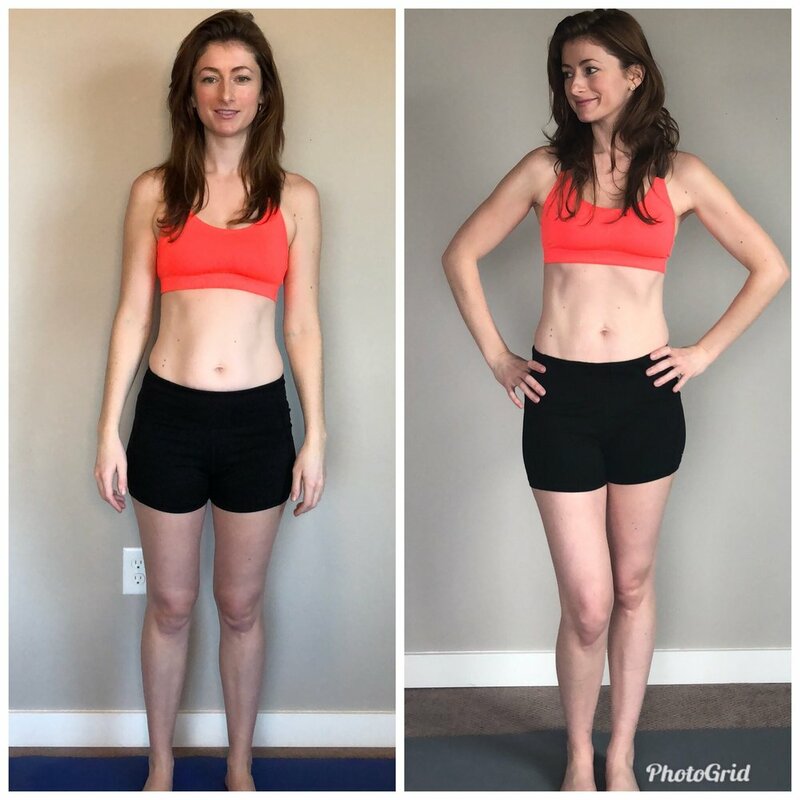 In February, I embarked on an experiment diving headfirst into the Kinesiologyoga 101 online course created by Summer Huntington, the founder of Clubbell Yoga and Ellie and Bethany's coach. At the time, I was living in an unwell body trying to recover from an autoimmune condition that affected the entire right side of my body. It tingled, went numb, and cramped up often. My right toes were always curled, reflecting the cramping I felt in my whole leg, which in turn created length, strength and mobility imbalances. With nothing to lose, I dedicated some of my free time almost every day to learning and practicing the detailed content of the tutorials. I'll never forget the moment my right leg stretched to the same degree as my left. I cried. I turned on my favorite music and danced in joy and gratitude and pride for my own self-discipline. 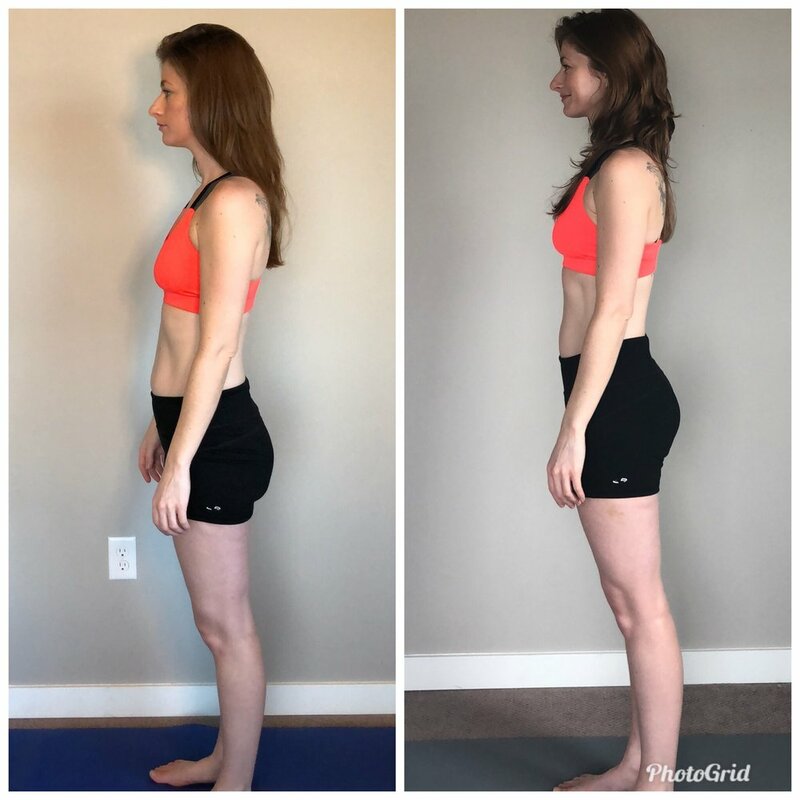 One month in to my practice, I realized that I was growing muscles, my body was in balance and I was increasing flexibility to a degree that I did not expect so quickly. In truth, I was witnessing the metamorphosis of my body. I was also discovering that every time I practiced, the cells of my body were singing. I hadn't felt this well in years, if ever. It became a reliable outcome, that if I wanted to feel good, all I had to do was roll out the mat, turn on my favorite music, and enter into flow through movement. When I heard that Ellie and Bethany were offering Clubbell and movement classes based on Summer Huntingtons coaching, I grabbed the opportunity whenever I could to attend. Combining my at home practice with class at Flex Movement Lab has challenged, motivated and inspired me to push myself even harder and accelerating my results. Two and a half months into my practice, I am happy to share that my body is in a state of perpetual wellness and balance, my toes are no longer curled, I have a stronger sense of self love than I have ever known before, and I have moved up in clubbell weight and stamina . This morning my four year old son turned to me and entered into Warrior 2. He said, "I'm strong like Mama!" I beamed. My children are watching and learning more than I knew. They are seeing that strong is beautiful. They are learning that their mother is finding her power again, and that with determination we can all make change.